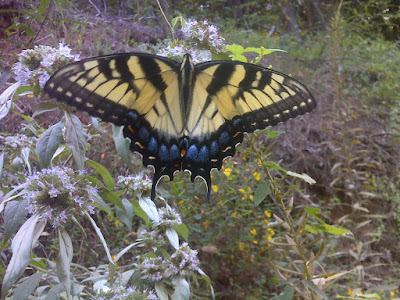 This is a female Tiger Swallowtail, yellow morph, photographed along the trail today. 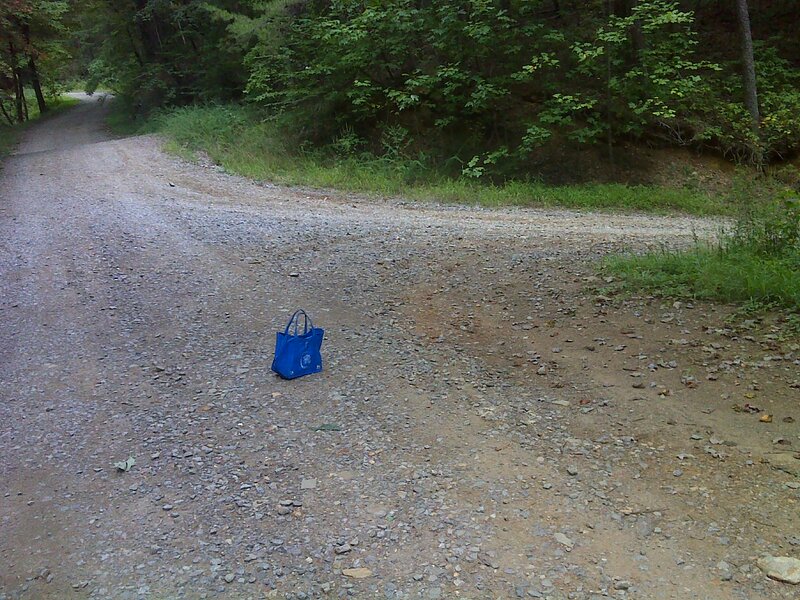 And I have a confession to make. All my life I've believed this was a Monarch Butterfly. In previous posts I've incorrectly labeled it. I'll try to make the corrections where I can find them. 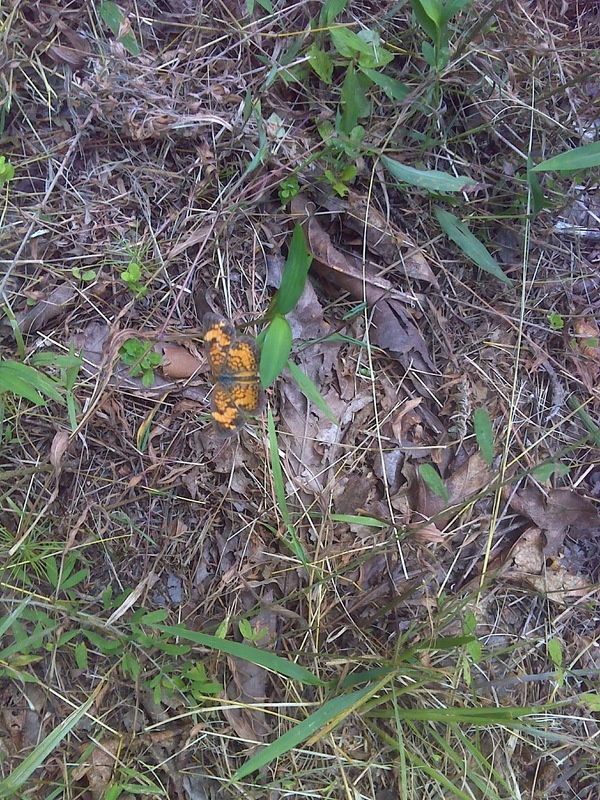 Now that I've learned my mistake, I'm not even sure if I've ever seen a real Monarch. 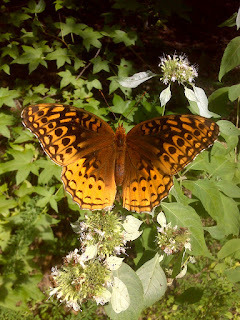 Having hiked the Pinhoti Trail through Mountain Bike territory and then ATV territory, today I came into butterfly territory. 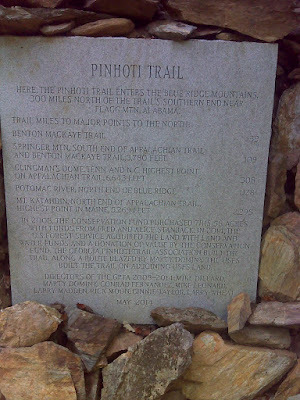 It was a new section of Pinhoti Trail, just opened about two years ago. 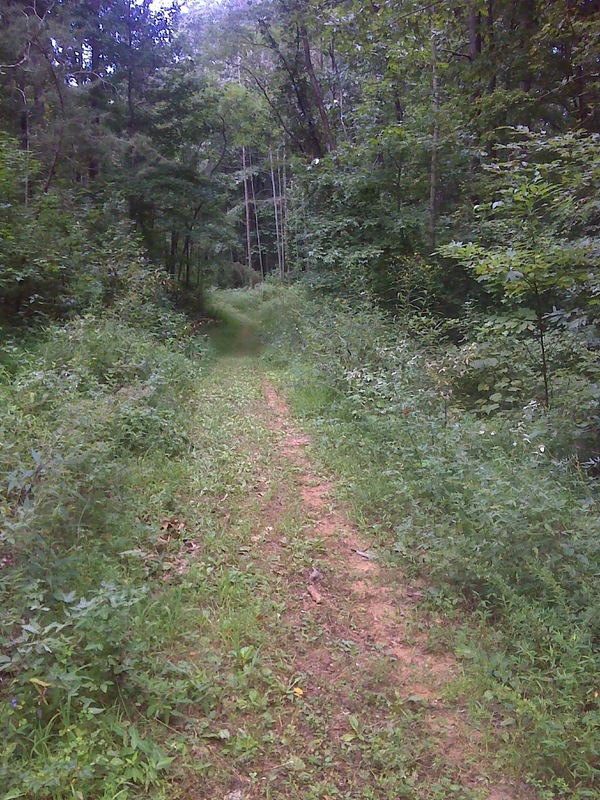 About 2.5 miles of it are newly built trail where none existed, running through a newly acquired conservation property just purchased from private hands in 2008. 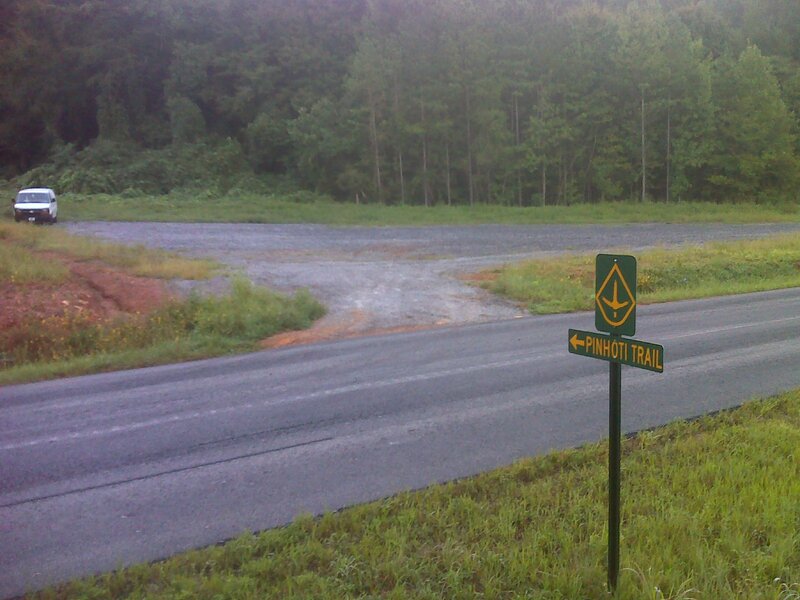 Part of this new section runs from FR 3 (Peeple's Lake Road) along a gated grassy (and recently mowed!) 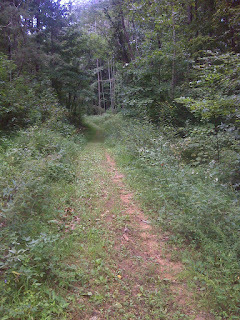 old forest road. 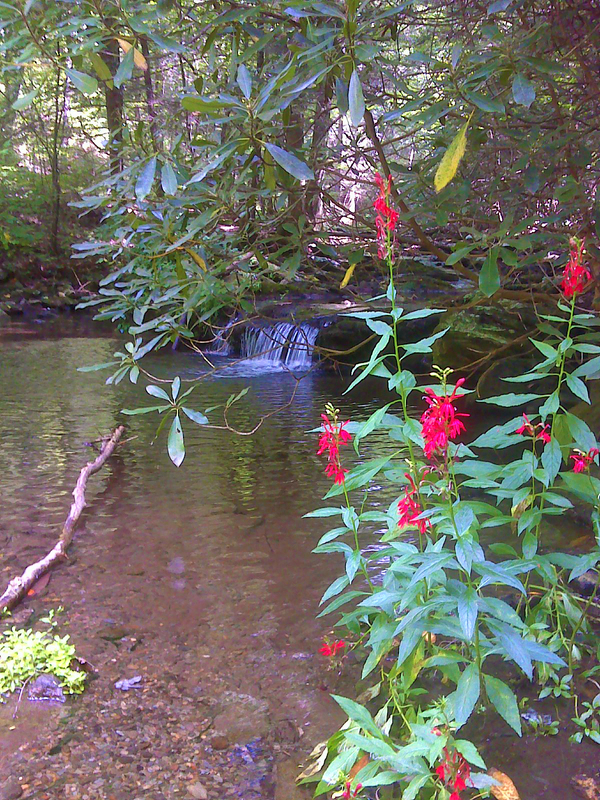 This wide former road follows the south slopes of the Rock Creek watershed for three miles or so, then the trail leaves it and strikes off along steeper side-slopes, crossing several small streams, including this one with a small cascade adorned by the water-loving Cardinal Flower - Lobelia Cardinalis (also a favorite of butterflies). 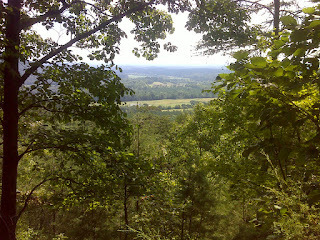 Eventually the trail climbs a few hundred feet, crosses over the ridge and begins to descend steeply, offering this view of the countryside to the southwest. 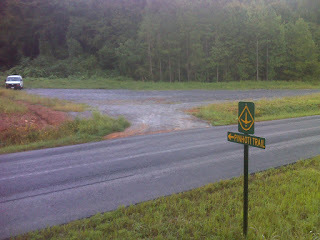 This section of trail comes out at a massive new trailhead parking area on Dennis Mill Road south of the town of Chatsworth. When I describe this parking area as massive, I do not exaggerate. It has room for close to 100 vehicles or dozens of horse trailers. 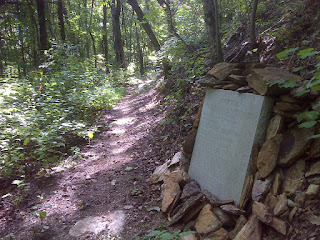 But before I emerged from the woods and reached the trailhead, I passed this newly placed granite monument, which celebrates the effort to open this wonderful new section, and honors those who made it happen. The butterflies were concentrated along the grassy woods road. 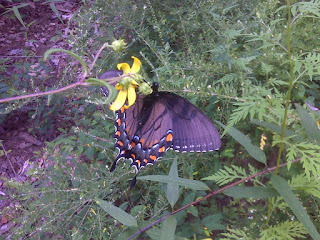 Here's the other morph of the female Tiger Swallowtail--the all black one. 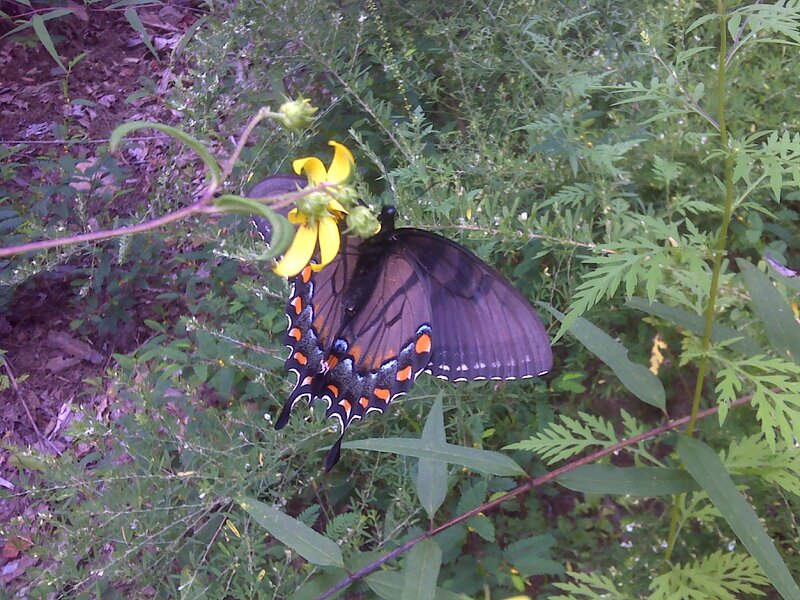 Several times I saw the yellow and black engaging in areal sparring. It seems each is jealous of the other's fancy gown. 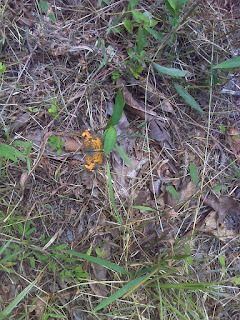 Finally, after I left the grassy woods road, I came across the tiniest, cutest little mushroom ever. 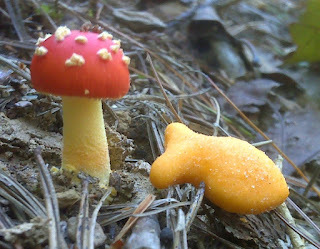 For scale I snatched a goldfish cracker from my snack bag. The mushroom looks like it was sprinkled on top with tiny kernels of popcorn.